The Nats finally won, bringing their record back up to .500 just in time for the All-Star Break (Terry's favorite time of the year). The game was mostly a pitchers duel with Jordan Zimmermann and the Rockies' Chacin dealing through 6.1 and 7 innings respectively. It was 0-0 until the bottom of the sixth when Roger "The Shark" Bernadina hit his 19th RBI of the season to break up the scoreless game. Rick Ankiel added on a homer in the 8th to make it 2-0 and Mattheus, Clippard, and Storen closed out the game. In addition to our Shark-posse, it was great running into people who recognized us from the Washington Post story as well as seeing Shark friends @LetTeddyWin, @sweetpearacer and @jorgath. 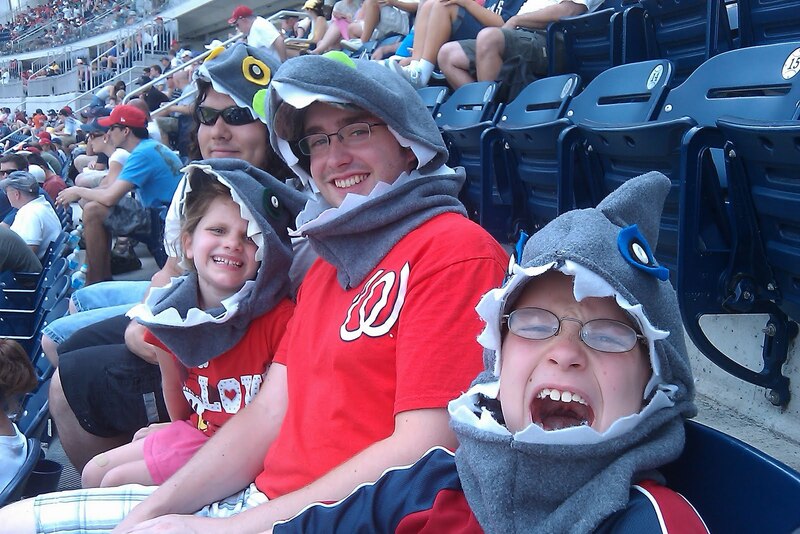 We will continue to bring you all Shark related news through the All-Star Break!